Around the world, 68.5 million people have been forcibly displaced. That’s the most since World War II, according to the U.N. Refugee Agency. Most people remain displaced within their home countries, but about 25.4 million people worldwide have fled to other countries as refugees. More than half of refugees are children. Eleven-year-old Udai was 6 when the Syria civil war began. His little sister, Rana, was 2. They hardly remember life before the violence, chaos, and strife. Their family of eight remained in their home in eastern Aleppo as long as they could. But they were finally forced to flee when the fierce battle between government and rebel forces in late 2016 literally hit home. By the time Udai, Rana, and their three siblings escaped the city in mid-December, they had lost both of their parents and their 7-year-old sister in bomb attacks. The orphaned children relied on relatives and caring strangers to usher them to relative safety in Idlib, Syria. Udai and his siblings are among more than 12.6 million Syrians who have been forced to flee their homes because of the war. About 6.2 million people are displaced within Syria. The UNHCR counted 6.3 million Syrian refugees and asylum seekers who had fled their country at the end of 2017. Find out more about protecting displaced children from violence. Conflict and insecurity in Iraq, South Sudan, the Democratic Republic of the Congo, Central African Republic, and Myanmar have also caused millions to flee their homes. In an alarming trend, the numbers of refugees from the DRC increased by 16 percent to more than 620,000. Here is a list of the top five countries of origin that account for the most refugees in the world today. The number of Syrians who’ve fled their country increased by 14 percent in 2017, according to the UNHCR. That puts the total number of refugees from the 7-year-long conflict to 6.3 million people. Most settled in neighboring countries Turkey, Lebanon, Jordan, and Iraq. Most Syrian refugees remain in the Middle East; including 3.5 million in Turkey, the largest number of refugees hosted by any country. The war has displaced an additional 6.6 million Syrians within Syria. Since the crisis began, World Vision has helped more than 2 million people in Syria, Lebanon, Turkey, Iraq, Jordan, and Serbia. About 2.6 million people from Afghanistan are living as refugees, representing the second-largest refugee population in the world. Pakistan hosts nearly 1.4 million, including some second- or third-generation Afghan refugees who have never lived in their home country. Some have been forced to return home from neighboring countries, but increased violence in Afghanistan since 2015 has led to a new surge of asylum seekers. As many as 1.5 million Afghanis are displaced within the country due to conflict. South Sudan saw the largest increase in people fleeing the country in 2017. 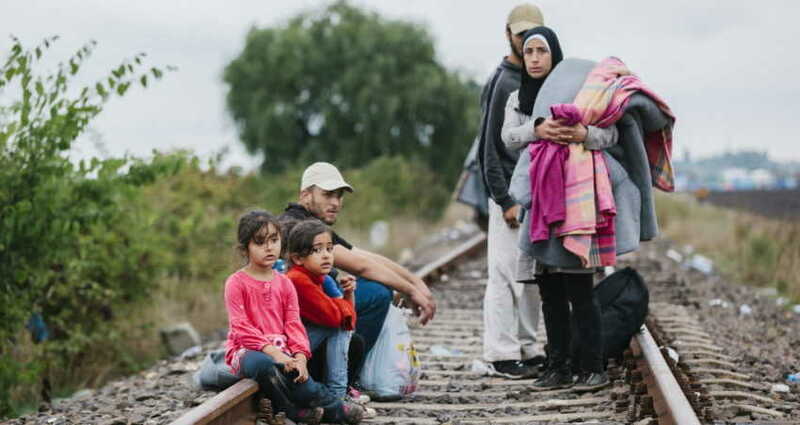 During the year the number of refugees increased from 1.4 million to 2.4 million people. The world’s youngest country sank back into violent turmoil in July 2016 after renewed fighting shattered a peace deal that was years in the making. Nearly half of South Sudan’s refugees have fled to Uganda. In addition, 1.9 million people have been displaced within the country. World Vision has helped more than 1 million people in South Sudan and its refugees in surrounding countries with aid, including food, a special nutrition treatment for malnourished children and breastfeeding mothers, livelihood training, seeds and farming supplies, household items like bed nets and blankets, and water and sanitation services. About 1.2 million people who identify as members of the Rohingya ethnic group have fled their homes in western Myanmar’s Rakhine state. As many as 700,000 relocated to Bangladesh since August 2017. Aid agencies are struggling to adequately serve people who are dependent on aid, including those in local communities. World Vision has served more than 178,000 refugees in Bangladesh with food, water, sanitation facilities, shelter, and other items. The number of Somali refugees actually declined slightly in 2017 to 986,400. Most refugees have settled in Kenya, Ethiopia, or Yemen. Some have lived in massive refugee camps for years. About 100,000 have returned to the countrysince June 2016, largely due to the Kenyan government’s intent to eventually close Dadaab refugee camp, at one time the world’s largest. But the widespread humanitarian need continues as a result of conflict and recurring and severe drought inside Somalia. Within Somalia, an estimated more than 2 million people are displaced because of insecurity. Chris Huber and Kathryn Reid of World Vision in the U.S. contributed to this article.